Whether it's just you and two employees or you're managing a team of 100, staffing a retail store can be tricky! You want to have the right number of sales associates on the floor at the right time to a) make you money and b) save you money! A disproportionate ratio of employees to customers means you're probably either wasting cash on unnecessary staffing costs, or missing out on sales by not having enough strong team members working the floor. So how do you find that balance? Data, of course! You can’t staff efficiently without metrics. Staffing is a huge expense and one that you want to harness effectively, with enough coverage to ensure a premium customer experience, but not too much that you have idle hands. Here are 3 reports you can easily run using your POS data that will help you analyze your peak traffic hours, as well as the effectiveness of both your staff and your marketing efforts. With traffic counting and conversion metrics displayed in real-time, you can monitor trends over time and schedule staff more strategically. You’ll know which days are busiest versus slowest, optimizing your headcount. Traffic counting also allows you to measure ROI on any marketing campaigns you are running, prompting you to duplicate successful campaigns. Conversion rate is the proportion of visitors to your store who make a purchase. While it’s more efficient to use a traffic counting device (which are more affordable than ever), you can count traffic manually and then calculate conversion rate within a set period of time. What are my busiest days during the week? Which days have the highest conversion rate? Am I staffed appropriately to capitalize on this insight? Note: Foot traffic and conversion rate metrics are easier with a traffic counting device such as SpringboardTRAC that automatically displays real-time traffic and conversion metrics right on your dashboard. 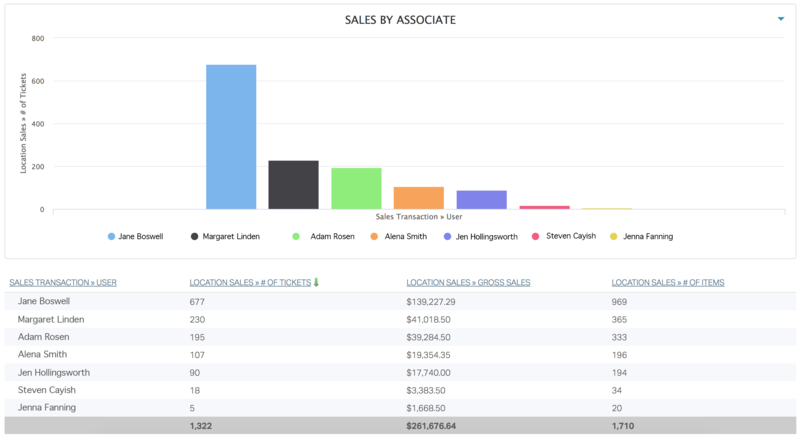 Along the same lines, you can also run a report through your POS software showing your number of tickets by day and by hour to, again, determine when you are seeing your peak sales. Add in gross sales and you have great report to identify when to boost staff and even identify your top performing employees when you compare against your staffing schedule and traffic count. What are my peak hours? Is it consistent across the week? Am I appropriately staffed during those peak times? You may want to incentivize your whole sales team through contests, to reinforce behavior such as upselling. For instance, you could measure who has the highest number of items per transaction over a period of time. 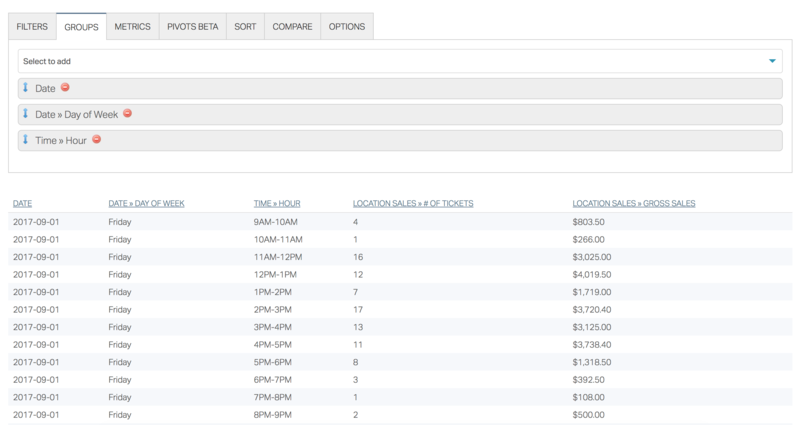 Pull this report through your POS using the specific filters relevant to your contest. You can even do a contest that rewards your employees for asking (and entering) customer data, like birthday month. As long as your POS can collect the data and report on it, you can creatively incentivize your whole team. What contests can I run that are easily backed up by POS data? What behaviors does the contest reinforce? How can I make my contests easy, fun and engaging for the whole team? See! With the right KPIs and data, staffing your store never has to be a headache again. Choose a retail POS that allows you to save these reports for easy access every time you're ready to put together next week's schedule. 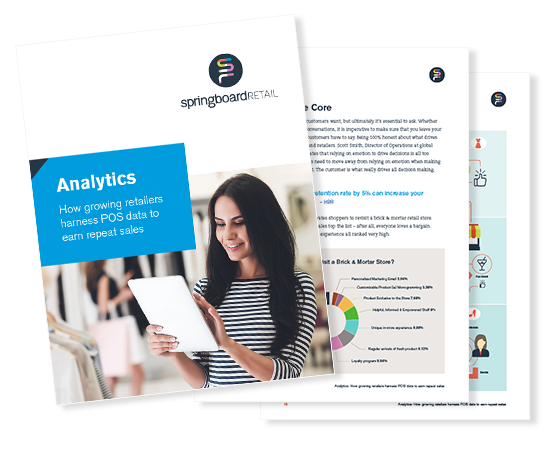 For more creative ideas on how to use retail reporting to boost your store's performance, download our Retail Reporting & Analytics Report!